CORDUS / SACRUS is an Effective Complement in the Treatment of Diseases of internal Organs. 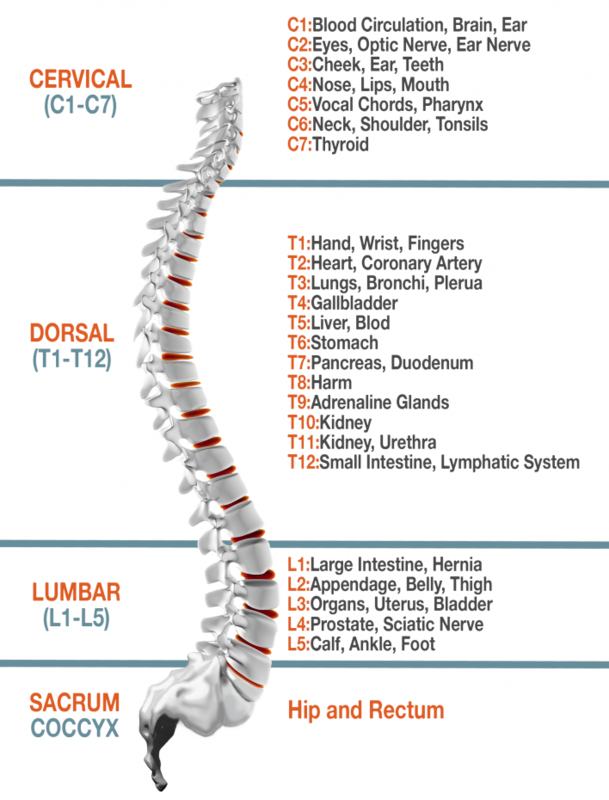 Each vertebrae of the spine is connected to a specific internal organ. The signal from the brain passes to the vertebrae and then to the related organ. If a strong muscular spasm appears, it affects the correct communication between the brain and the internal organ. Over time the organ can fail and pain can appear, and taking (consumpting) drugs does not help in its entirety when the root of the problem is in the spine. CORDUS / SACRUS removes the spasms of the deep muscles, which helps to recover the motor and connection of the spine. This way the internal organs will improve. Also when we release the spine from muscle spasms, we improve the flow of energy, which increases the body’s inmune system capability for self-regeneration.